Researchers are learning fascinating things about the Wood Wide Web. 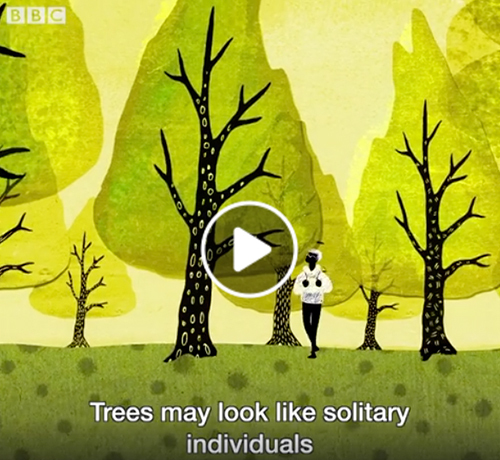 In the BBC Two’s June 29, 2018 video (1:47 watch), “How Trees Secretly Talk to Each Other,” we get a glimpse of the intricate network of information and resources shared among trees in close proximity. The exchange of data and support mechanisms in these underground systems exemplify the intelligence of nature. NHPPA provides a platform, similar to the fungi of the trees’ root system, to share the information that supports our community of people, manufacturers, retailers and practitioners. Access NHPPA’s Tool Kits to take your activism out on a limb.